In the Express option, we pay back the deposit and balance immediately after receiving the devices. We also recover money for Boxes deposited in Belgium, for which customers have not received transfers. Decide which type of service you prefer. STANDARD or EXPRESS? Then fill in the form below with some basic data necessary to return the device. Send us the device in a parcel. You can send several devices in one shipment. If the device was already returned in Belgium, please tick it in the form. In that case, you do not need to send us a parcel. If you chose Standard return, the refund fee is only €16 gross. If you have chosen Express, you do not have to do anything else. You will receive an immediate return of the deposit and balance from us. You will receive a full refund of the deposit of €135 and additionally the means by which the device is topped up. The Satellic system operator transfers funds to your account in two separate transfers. The operator reserves the right to make transfers up to 30 days. The cost of service is only €16 gross. We immediately transfer the OBU deposit to your account. You will receive a €100 deposit refund. If the device is topped up and has a positive balance, you will also receive 90% of the balance amount. You do not need to do anything or pay anything. You do not wait. You have money in your account right away. How will you deliver the device? HOW MUCH TIME DOES A RETURN TAKE? The Viapass system operator – Satellic reserves the deadline for repayment of funds up to 30 days. WHAT IS THE DEPOSIT FOR THE BELGIAN OBU? 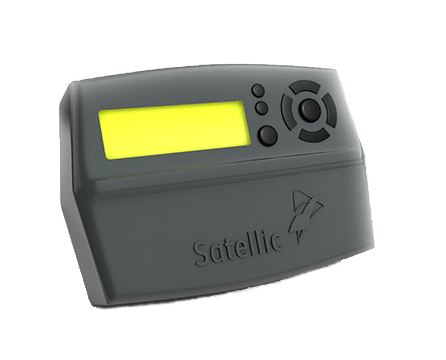 By default, the deposit for a Belgian Satellic device is €135. CAN YOU SPEED UP THE RETURN OF THE DEPOSIT AND BALANCE? You can receive funds as fast as the next day after sending us the devices. Just choose the EXPRESS option of our return service. We will send you funds at an instant. Transfer for the amount of €100 refund for the deposit will be made immediately after receiving the Box. If the device is topped up and has a positive balance, we will transfer 90% of the balance amount immediately. The remaining funds constitute our remuneration. You do not have to pay anything extra. WHAT SHOULD BE THE CONDITION OF THE RETURNED BOX? WHAT IS A STANDARD RETURN? After selecting the STANDARD return option, you will receive a full refund of the deposit and balance on your account within 30 days. Registration of return, completion of all formalities related to the return and making transfers, sending back equipment to Belgium and getting a refund is a cost of 16€ gross. WHICH OPTION TO CHOOSE: STANDARD OR EXPRESS? You decide. If you want to have money on your account immediately, select EXPRESS. If you can wait up to 30 days, select STANDARD.